Blog Home » The Top-5 Scariest Teeth in the Animal Kingdom! Teeth are pretty incredible, and in the animal kingdom, teeth can be pretty terrifying! Here’s our list of the scariest teeth found in the wild. 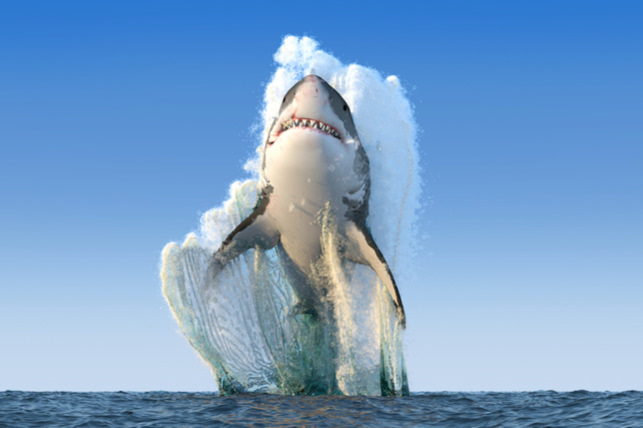 The Great White Shark is the largest predatory fish on earth, and it wields a lot of impressive teeth. Great White Sharks have around 3,000 teeth in their mouth at one time in multiple rows on their jaws. If a tooth is lost, another one simply slides forward to replace it, and they grow a new one. These fascinating sharks are constantly growing teeth, and the Great White will go through around 30,000 teeth in its lifetime! Did you know that Hippopotamuses have the largest teeth of any land animal? Their front incisors can grow to be 1.2 feet in length, and their canines can get to be 1.5 feet! Which animal has the strongest bite force in the world? That title belongs to the Saltwater Crocodile, which has a bite force of 3,700 pounds per square inch! By comparison, humans can only generate a bite force of around 150 – 200 pounds per square inch. Have you ever seen a saber-toothed pig? Well, now you have. The Babirusa is a hog with a dental problem, and has two very large canine teeth that can grow up to 8 inches long and even grow through their skin! The Babirusa’s canine teeth never stop growing, and their top canines can grow and curl back onto themselves. The Payara fish is nicknamed the “Vampire Fish,” and earned the nickname with its incredible teeth. The Payara has two large fangs that grow from its lower jaw and go INTO the upper jaw and head of the fish. 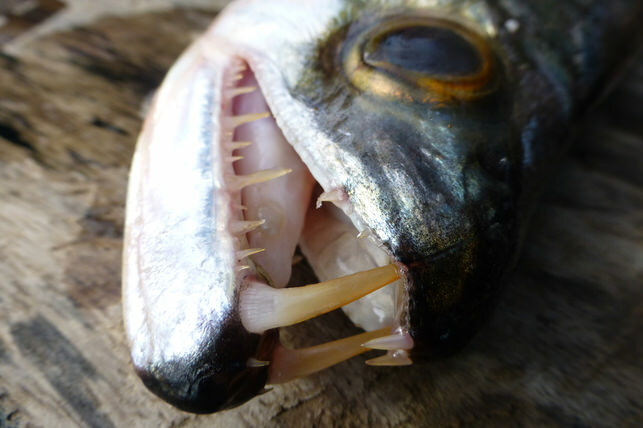 There are two negative spaces in the fish’s head where these 6-inch fangs rest when they aren’t being utilized by this carnivorous fish. Did you know that animals have ways that they keep their teeth clean? Oral health routines shouldn’t be a wild concept to your family, though. Be sure that your family brushes their teeth twice per day for two minutes at a time and flosses once per day.